LLumar AU85 The only dedicated film approved by the British Skin Foundation. Many people are unaware that the sun’s harmful rays can penetrate glass. Scientific research shows that drivers are more vulnerable on the window side of their bodies, where they are exposed to harmful ultraviolet A (UVA) rays from side windows in cars, which are typically unprotected. Damage from certain kinds of ultraviolet rays is cumulative. These rays, called UVA rays, penetrate deep into the skin and can silently accelerate the aging process, cause wrinkles and even skin cancer. Unlike UVB rays, which create immediate effects like blistering and burns, UVA rays create longterm damage that is not immediately noticeable. That’s why many people don’t realize their skin is getting damaged from sitting near windows in cars. The British Skin Foundation recommends adopting a complete sun protection regimen, also emphasising the importance of sun protection while driving. Using high performance window film in a car offers all-day protection while driving. Most factory tinted glass does not have the same UV blocking ability as LLumar UV blocking window films. 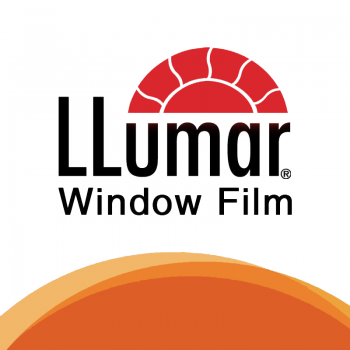 While all films in the LLumar portfolio offer UV protection, UV Clear film appeals to those who do not want the darker window appearance or where the use of dark films is prohibited by law. In the UK, the front side windows have to allow at least 70% of the outside light into the car. When applied over automotive glass, this film’s virtually invisible protection blocks over 99 percent of harmful UV rays. LLumar window film acts as “sunscreen” – but with window film, there’s no need to reapply. 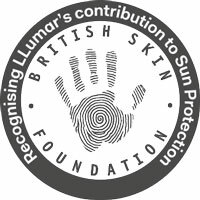 Helps protect your skin: LLumar Film has been fully tested and recognised by the British Skin Foundation as contributing to sun protection. Protect yourself and your loved ones: LLumar Film can help to protect the skin and vulnerable facial areas of people and pets whilst travelling. Upholstery & Interior Trim: Inside surfaces become less susceptible to fading and ageing. Keeps your ride cool – whilst looking stylish, LLumar window film can also reduce cabin temperature – making you feel more comfortable while driving. Can reduce glare, making monitors easier to read. So if you suffer and have to live away from sunlight, indoors or in the dark or know someone that suffers – please contact us for more details.